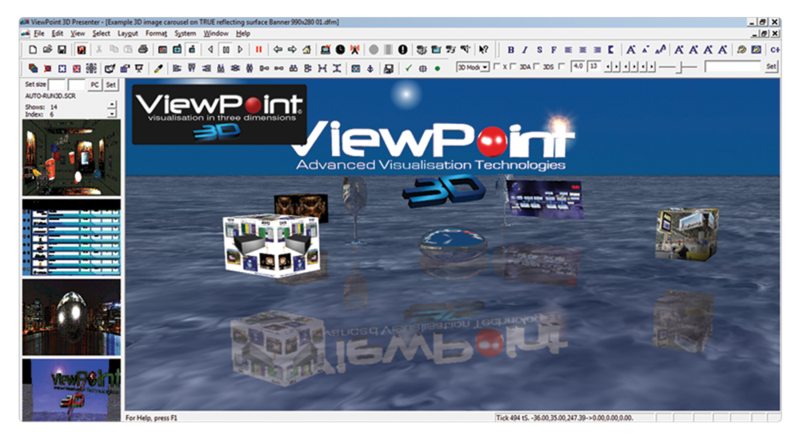 ViewPoint 3D Designer allows you to rapidly create 3D Presentations, glossy information TV channels (digital signage), or content, such as 3D videos, images and 3D web banners. Click on the image of the software boxes above, which was created in ViewPoint 3D, to see just how easy it really is to create content. Watching a 15 minutes training video is all that you need to create glossy 3D content, and for those of us that are in a hurry, there are even a range of stock 3D presentations that you can just drop your images and text into. See ViewPoint-3D's rapid 3D scene creation in action on YouTube! Free download - please provide your full contact details. 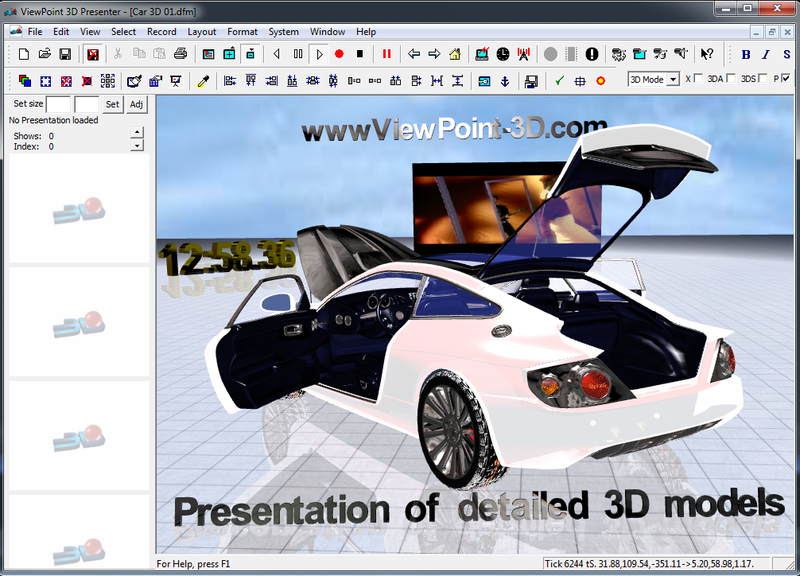 ViewPoint-3D is completely free for educational and many other uses. Buy a one-year subscription for just US$ 44- and start creating 3D content today with support included! A DS media player and a standard TV or PC monitor screen, or projector is all that's needed to have your own 3D infomation and advertising channel up and running, and it costs a lot less than you might imagine. Click the Harware tab above to see an overview of the DS media player range. 3D content at resolutions up to quad HD 3840x2160 can now be created, with glossy TV studio-type effects, including lighting, shadows, surface reflections, glass and other special materials, you can even run videos and images on any 3D surface within the scene. * 3D content is produced for use on standard 2D screens and the Internet, as well as for 3D screens, including glasses-free. Using a WYSIWYG user interface, creating 3D content is now as simple as using any well-known 2D presentation software. ViewPoint 3D content can be data-driven, supporting live time-table displays, time and date, and any other textual or graphical data, in 2D and 3D, to be updated instantly 24x7, keeping content always fresh. Click here and here to see videos of ViewPoint Designer software in use, or visit our YouTube site. Note: You may need an mpeg4 codec installed to view the videos on this site. 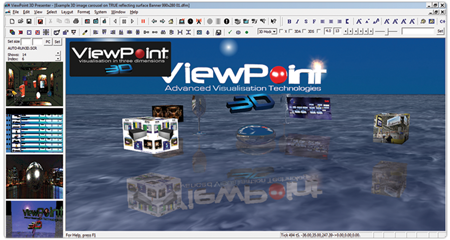 ViewPoint 3D has a comprehensive range of data processing facilities, allowing database and RSS feeds to drive the 3D content in real-time, allowing, for example, price changes to instantly update, or a 3D weather fly-through to have 3D weather symbols that reflect the weather at the moment, keeping content always fresh. It can also encode output in real-time to the Declipse 3D + Depth format for 3D monitors, to produce data-controlled 2D and 3D information display TV channels, as used in major airports, and other sectors. 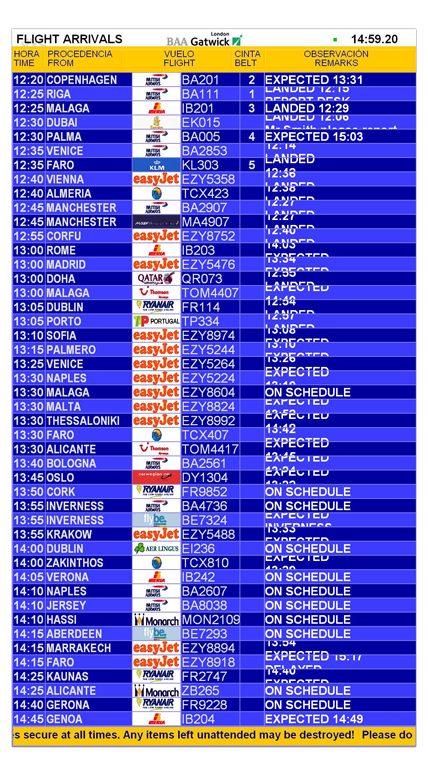 Combined with the latest ePC media box, a small-format full-HD screen controller, a complete digital signage package can be rapidly deployed with 24x7 reliability. The ePCs accelerated 3D graphics systems provides stunning graphics, animations, full 3D, and HD video playback on full-HD and even the latest 3D glasses-free screens. ViewPoint 3D works both with standard 2D screens and projectors, as well as the latest 3D screens from Dimenco Displays, and 3D projectors. Click above on image to enlarge. Click above on image to enlarge. Click here to see video (mp4). 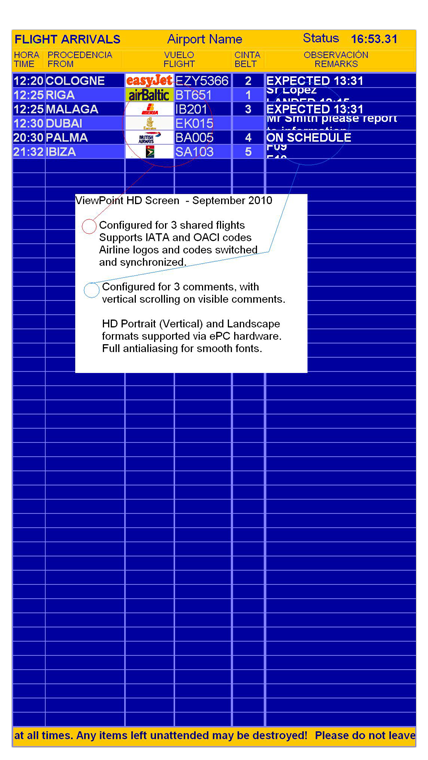 ViewPoint can create both portrait and landscape presentations, with a wide range of facilities, any type of data screen can be presented. The latest DS media players (Brochure) are perfect for digital signage applications, powerful and low-energy (from 18W), ideal for TV studio quality 3D presentations up to full QHD (4K pixel), multi-screen, and complex live-data public information screens with animated objects and mixed content. A wide range of configurations are available, from single to multi-screen, 2D and 3D, available with Embedded Windows or Linux* operating systems, from 40 GB of solid-state hard-drive, and full HD video support. The DS player range are designer to be the perfect choice for professional digital signage and presentation applications requiring high quality, 24x7 operation, and the most comprehensive facilities. With preinstalled ViewPoint 3D software, the ePC provides a complete and ready-to-go solution that has been tested as a complete unit for 24x7 operation. Several models are available, from an economic low-energy DS mini model with intergrated 80-core GPU, to the most powerful multi-GPU DS 3D PRO versions capable of direct autostereoscopic sub-pixel output at full quad (4K pixel) resolution. Energy Innovation- The DS mini runs cool, consumming just 18 watts standard for Digital Signage multimedia applications. Low power means long-life and lower power charges. The aluminium well vented case guarantees 24x7 operation. Low-power12V DC or 110/220 VAC operation makes the ePC451 ideal for a wide range of applications, from fixed to mobile digital signage.